Monday monday. I’m glad it’s almost Tuesday. Why? Because we get our oven fixed! I had no idea how much I relied on that thing until it shorted out! This time of the year gets me in the baking mood I guess and in the mood for warm cozy crafts. Like crocheted afghans and such. I have always admired the ones my grandmother made, but I really want to rise up to the challenge and make one for myself. 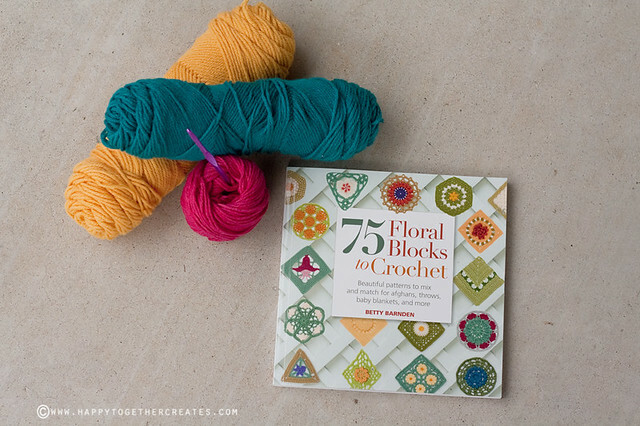 And that’s where this wonderful book, 75 Floral Blocks to Crochet co/St. Martins Press, comes in super handy. 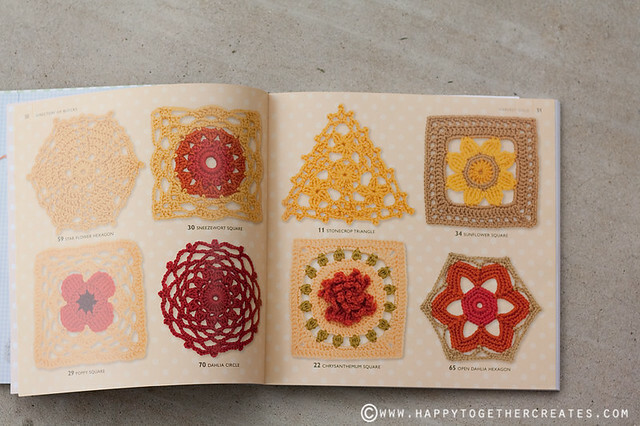 It is a book full of tons of different blocks you can crochet. 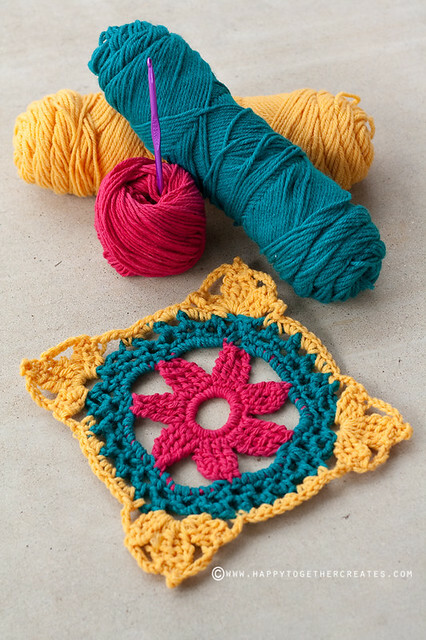 And these aren’t your typical granny squares. 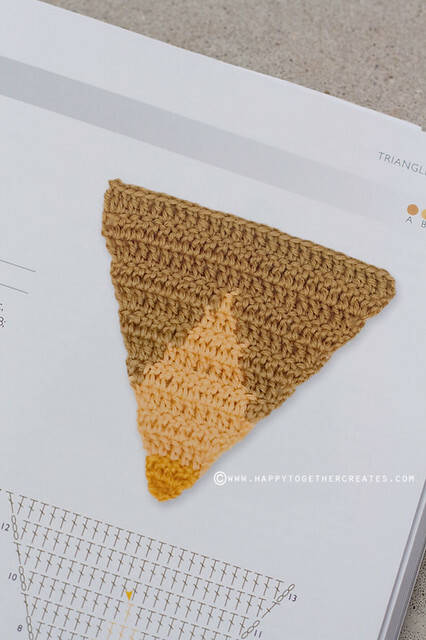 This little pattern is so on my to do list either as a ton put into a blanket or as a banner. I so do adore the color gradient used on this. Seriously. Look at these. Aren’t they so pretty? 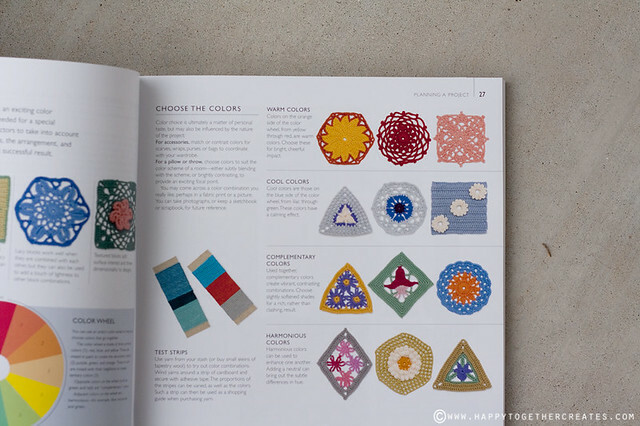 Not only is this book full of fabulous patterns, but it has so much helpful info such as how to pick the colors (something I always struggle with), yarn types, what hooks make what sizes, multiple ways to finish the edges of blankets, how to put the blocks together, etc. I did make one block (see first picture) and it was so fun to see it turn out. I haven’t done one that detailed before. I’m seriously thinking about doing one block a week (or more) and maybe I’ll be able to finish in a year? Has anyone else ever crocheted a whole afghan with different blocks? How long did it take you? So, yes. 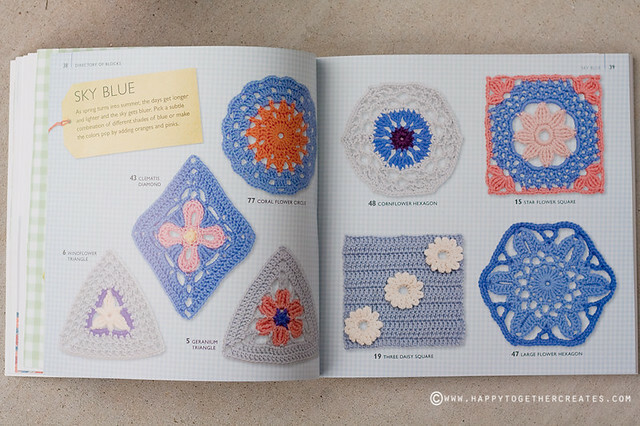 This is a great book to add to your creative library if you crochet. It’s the last book I’m sharing for this month and a great one at that. It is available online here if you want to get one yourself. 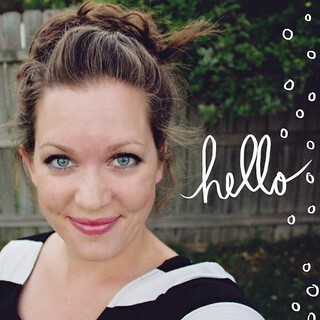 i want so badly to learn to crochet…. You should! I self taught myself 🙂 If you start with easy things and make sure you take your time to get it right it won’t be as frustrating. I have been told it’s a lot easier than knitting (which is on my to learn list).